Affordable and unusual picks from the auctioneer's holiday season sale. 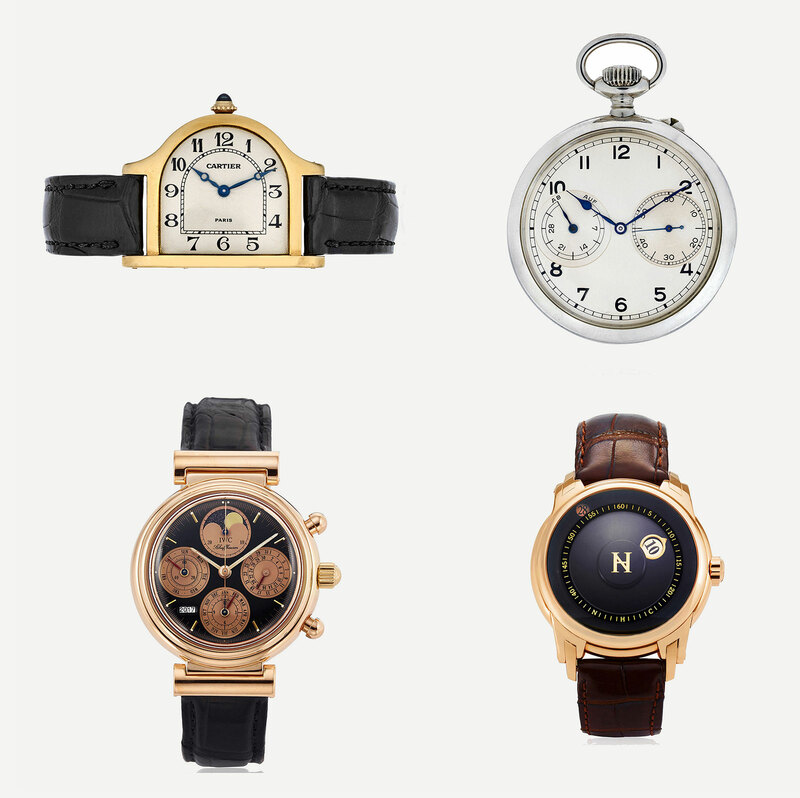 Christie’s Watches Online latest sale has almost 200 lots in a web-only auction, with something for everyone. 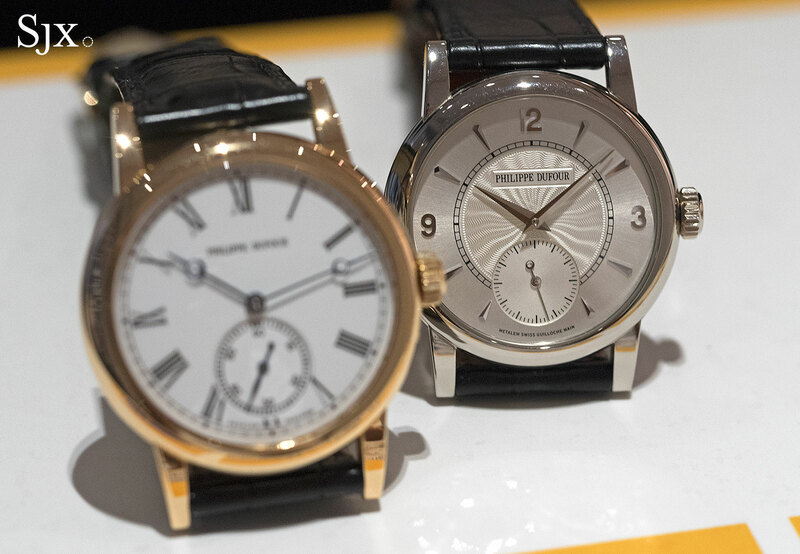 The line-up ranges from a steel Patek Philippe Nautilus “Jumbo” ref. 3800 to the most affordable items at under US$1000. Here are a handful of highlights from the “Time for the Holidays” sale, which ends December 7, 2016. Nouvelle Horlogerie Calabrese (NHC) is the brainchild of AHCI co-founder Vincent Calabrese, the talented watchmaker who invented the Corum Golden Bridge and Blancpain flying tourbillon. NHC was meant to offer Calabrese’s complications at a more affordable price, with the top of the line model being the Analogica. 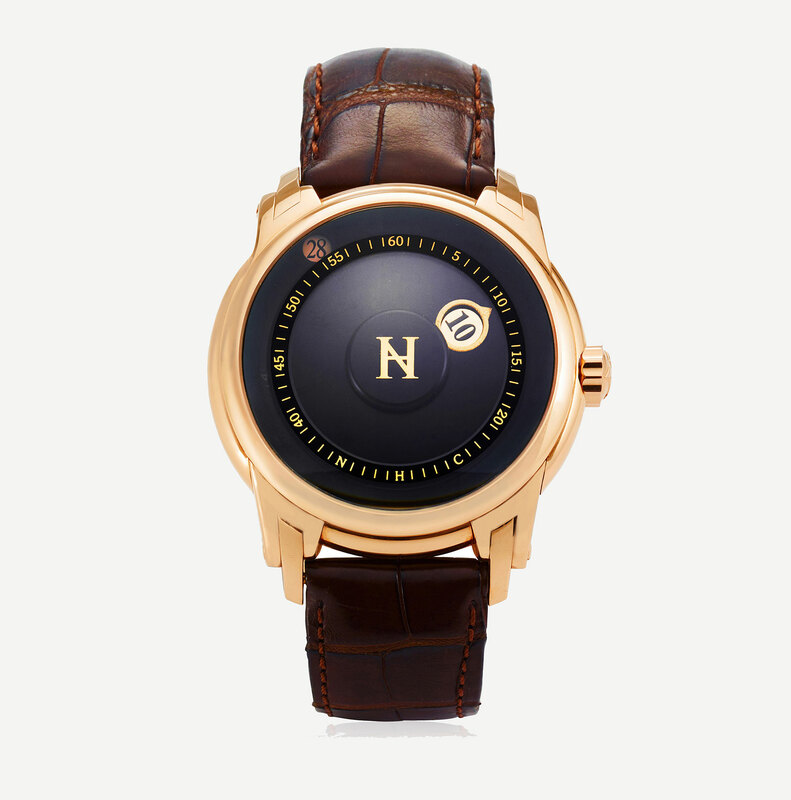 The watch features the Baladin wandering jump hour Calabrese invented in the 1990s, with the hour numeral travelling around the dial before changing instantaneously at the top of the hour, as well as a date display. 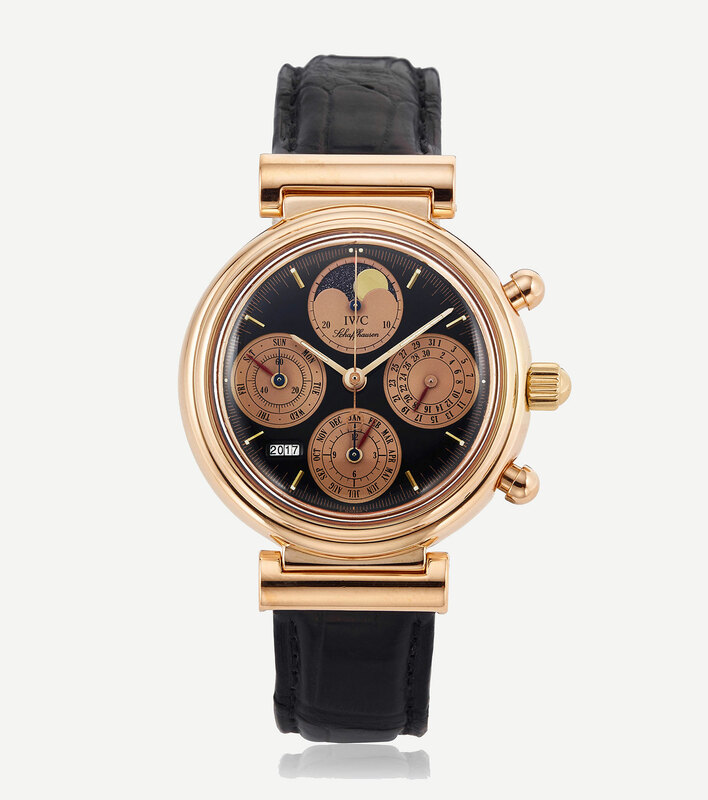 This example has slightly Art Deco case in 18k pink gold, with an estimate of US$6000 to US$10,000. It’s lot 66 in the sale. The Da Vinci is one of the great value buys in modern watchmaking, offering a smartly constructed perpetual calendar and chronograph for under US$10,000. This is an uncommon variant of the Da Vinci, being in pink gold with a black dial (the majority were in yellow gold with white dials). Invented in 1981, the Da Vinci was devised by the legendary Kurt Klaus, who added his clever perpetual calendar mechanism – which can be set only via the crown – on top of the workhorse Valjoux 7750. That created a relatively affordable, and very robust, chronograph with perpetual calendar that even has a four digit year display. This is lot 67 and estimated at US$7000 to US$10,000. This is a rarely seen military watch, a pilot’s chronometer by Movado dating from the 1930s. The steel case is 37mm in diameter, characteristic of the large pilot’s watches of the time. 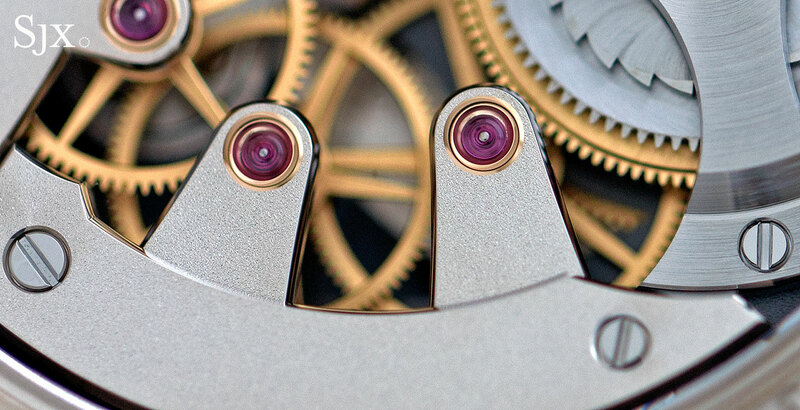 While the knurled, rotating bezel is common to many aviator’s watches of the period, the dial is unusual, with a railway minute track and Arabic markers at the quarters. 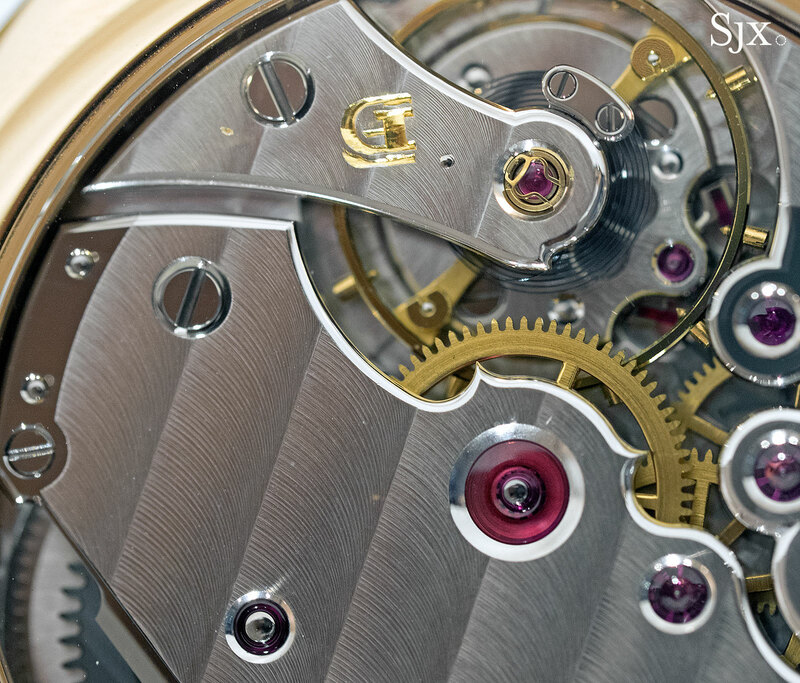 The movement inside is the calibre 75, adjusted to four positions. This is estimated at US$2500 to US$4500 and it’s lot 77. 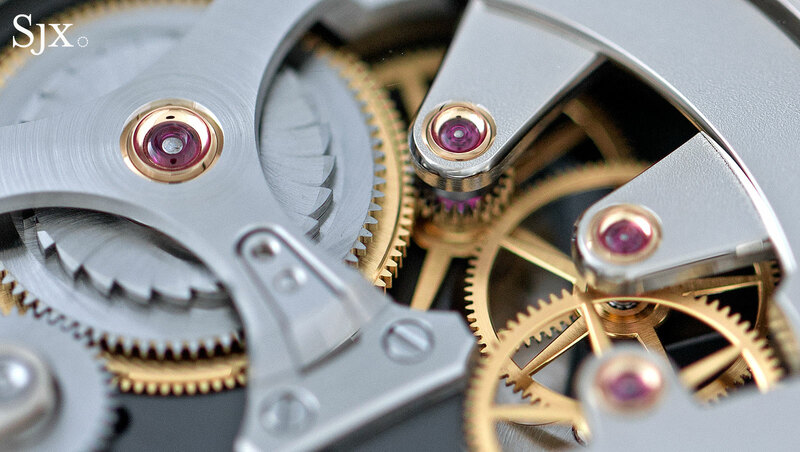 The calibre 30CH is one of the last great chronograph movements produced before the Quartz Crisis. The movement features a column wheel and horizontal coupling, a construction only found in the most expensive modern chronographs. This particular ref. 7415 in 18k yellow gold (it’s incorrectly described as a ref. 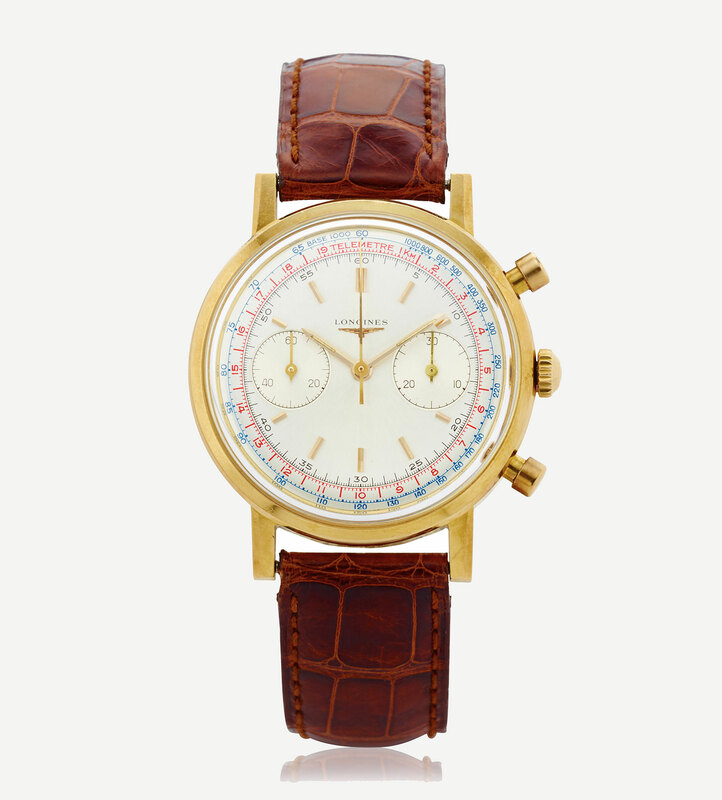 7416 on the sale page) is an archetype of the 1970s Longines chronograph, with a blue and red twin scales on the dial, round pushers and a screw-down case back. 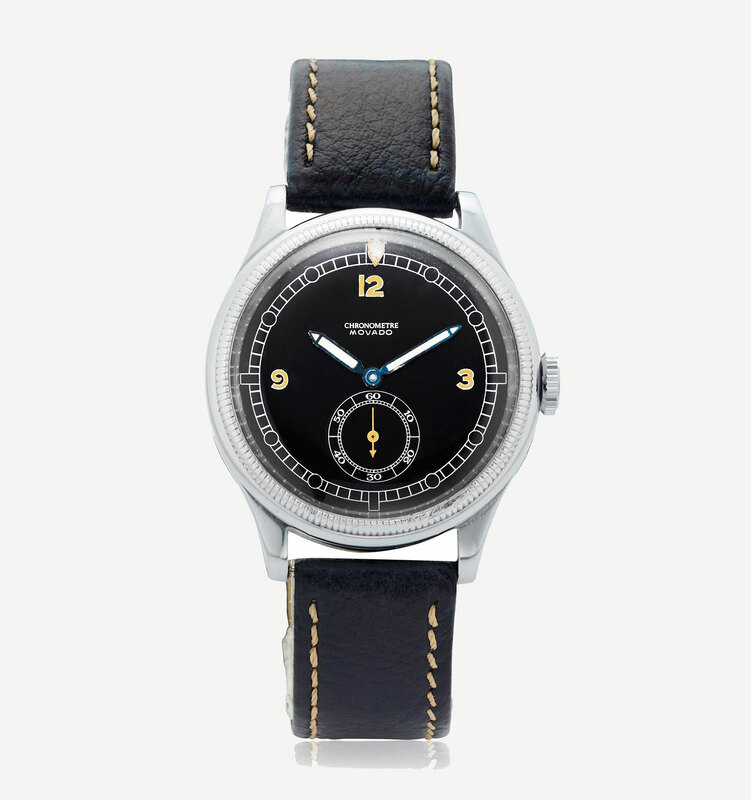 The watch is accompanied by a Longines archive extract noting it was sold to Italy in 1972. It’s lot 79, with an estimate of US$6000 to US$10,000. The ref. 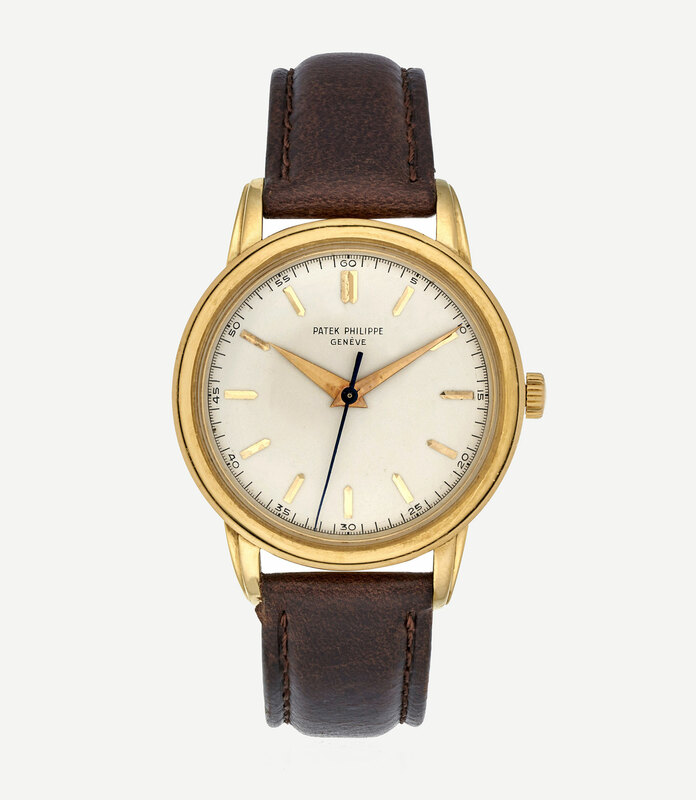 2481 is a handsome example of mid 20th century watchmaking – this example dates from 1955 – but at 37mm in diameter is large enough for modern tastes. In fact, the ref. 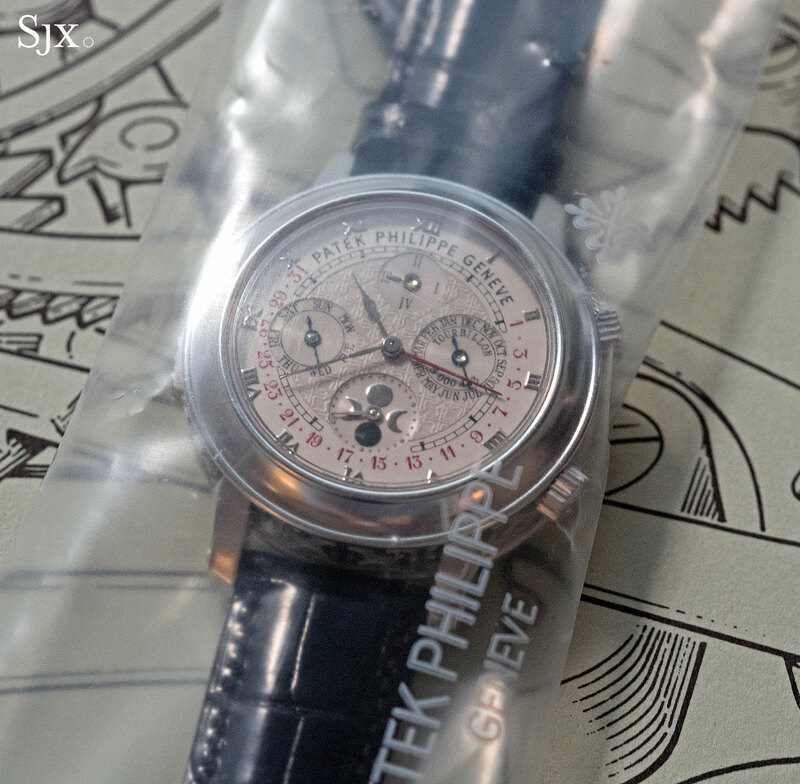 2481 was one of the largest watches Patek Philippe made at the time. The dauphine hands, silvered dial and applied markers are typical of the period’s design, though the fluted lugs are an unusually elegant detail. This is a handsome, but not perfect example, with the most obvious shortcoming being the unsigned crown which is a later replacement. The estimate is US$12,000 to US$18,000, and it’s lot 148. 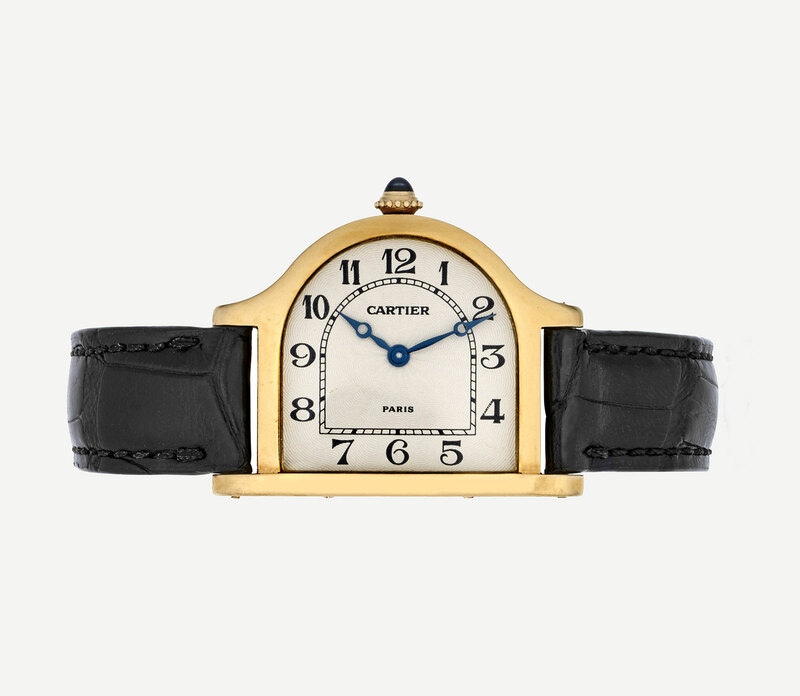 The Cloche is one of Cartier’s most intriguing ladies’ watches. With the dial set at a 90 degree angle and a bell-shaped case (cloche means “bell”), the Cloche has only been produced as a limited edition in the modern day, never being part of the regular collection. This is particular model is from the mid 1990s, one of a limited edition of 200 in 18k yellow gold, pre-dating the Collection Privée Cartier Paris (CPCP) that came later. 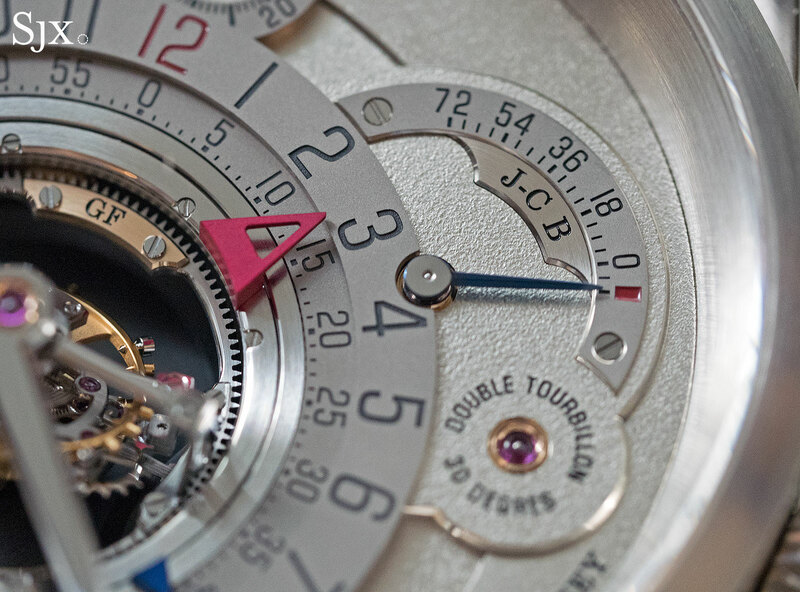 Several things distinguish it from later editions of the Cloche, most notably the Arabic numerals on the dial (it was usually Romans after), and the fact that it was made in France. The case measures an elegant 33mm by 25mm, with the angled dial making it suited to double up as a desk clock. This is lot 181 and the estimate is US$4000 to US$6000. 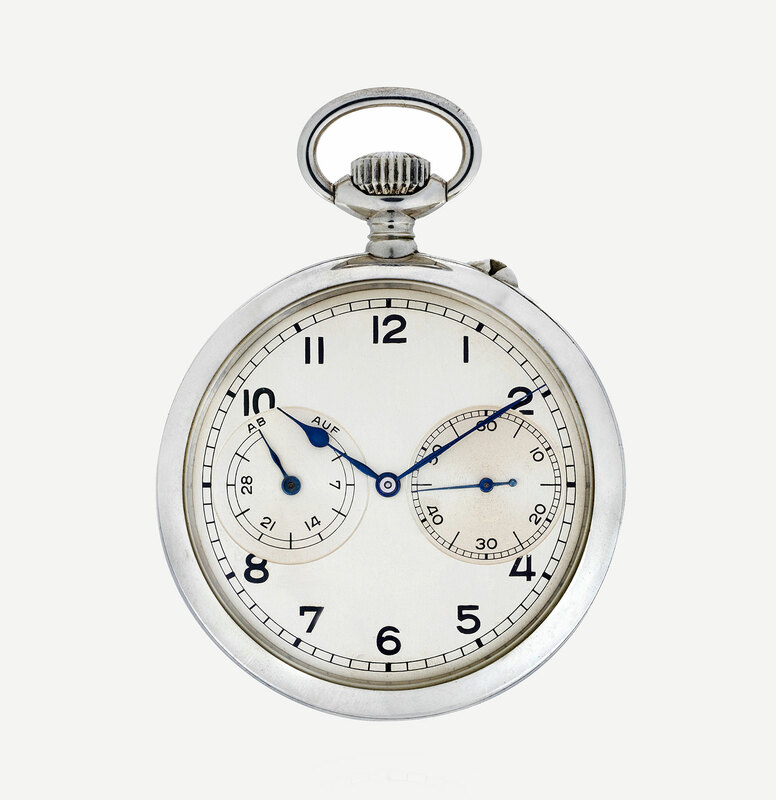 Deck watches were the most precise portable timepieces carried on naval vessels before electronic timekeeping. Set against the marine chronometer of the ship, deck watches were functional, with silver cases and unmarked dials, but exceptionally high quality timekeepers. This particular example was made by A. Lange & Söhne for the German navy during the Second World War and like all deck watches, tested by the German naval observatory before being entered into service. Being produced to navy specifications, deck watches were almost identical, regardless of the maker, with large Arabic hour markers and oversized seconds and power reserve displays. This is estimated at US$4500 to US$9000, being lot 192 in the sale. The Christie’s Watches Online auction ends on December 7, 2016 and the full catalogue is available here. *The writer of this article has an interested in lots so marked.